The Lions have placed linebacker Teddy Lehman on injured reserve. Lehman suffered a hamstring injury in practice, the latest in a long line if injuries that have plagued his career with Detroit. 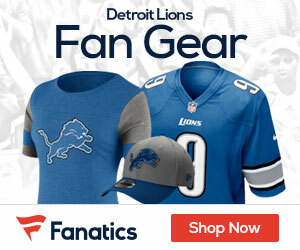 The Lions are expected to reach a financial settlement with Lehman that grant him his release. Detroit also signed free-agent linebacker Darnell Bing.